Many homeowners will still be living in their home when it goes on the market. 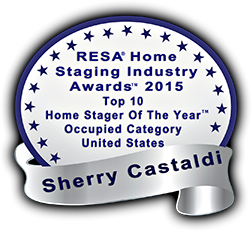 Living in a staged home comes with its own set of challenges. Our occupied home staging service is a critical asset to the occupied home that needs to have their home professional photo-ready for the MLS photos and highly competitive for the real estate market. Is usually a 1 -2 hour visit for the seller that has already had our Consultation, and worked on the recommendations advised for their home, but prefers to have an expert eye check over and fine tune any remaining last minute details, such as small décor and accessory arrangements so the home is ready for the photographer and the real estate market. Is a hands-on hourly service provided to complete the desired rooms or the entire home by expertly repositioning accessories and furnishings in the home to be ready for the photographer and the real estate market.